Bring back the 374 American children who have been kidnapped to Japan! Over 374 American children have been kidnapped to Japan. Most of these children were too young or too scared to have a voice and contact their American parent. My knowledge comes from BacHome.org, my Son and, the other Parents of Kidnapped Children (PKC) We will not stop until we get our government’s help to bring our children home. British parents denied access to their children with Japanese partners will be given renewed hope when the government here announces that a bill to ratify The Hague Convention is to be put before the Diet. Dozens of foreign parents – usually fathers – are being refused contact with their children after their partners moved to another part of Japan, with courts invariably ruling that the child is better off with a single parent. In the eyes of judges in Japan, the preferred parent is always the Japanese parent. At present, there are 37 British nationals involved in child custody cases that would be covered under The Hague Convention on the abduction of children, while numerous other requests for access have been registered with foreign embassies here. Hugo Swire, the Foreign Office minister, welcomed the Japanese government’s decision after talks with Shunichi Suzuki, the parliamentary senior vice-minister for foreign affairs, in Tokyo on Tuesday. “There does seem to have been significant movement on this issue and we have been told that this legislation is to be submitted to the Parliament here,” Mr Swire told The Daily Telegraph. “This issue has been going on for a long time and we welcome this news,” he said. Japan is the only G7 nation not to have signed The Hague Convention, which dates from 1980 and requires a parent accused of abducting a child to return them to their country of habitual residence. A formal statement on Tokyo’s decision is expected on Wednesday, in part due to growing international pressure for Japan to fall into line with other G7 member states. With more than 34,000 marriages involving a Japanese and a national of another country each year, there are an estimated 20,000 children born to mixed-nationality couples annually. Yet when such relationships break down, the Japanese parent has until now been able to avoid sharing custody or even providing access to her former partner by simply moving away. Japanese living abroad have only need to get back to back to Japan to be protected by the legal system. Under Japanese law, parental abduction is not considered a crime, although foreign nationals who have attempted to re-abduct their children have in the past been charged with kidnapping and imprisoned. 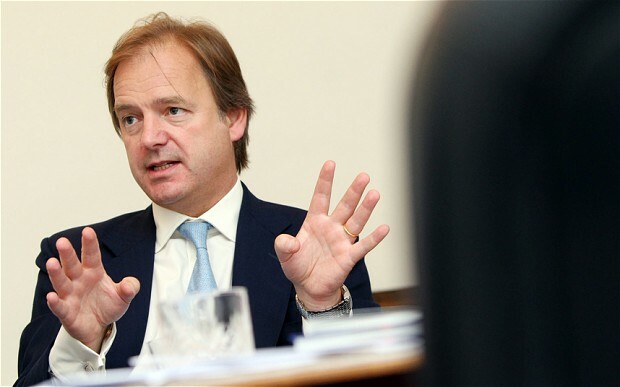 The first British minister to visit Japan since Shinzo Abe was elected prime minister in mid-December, Swire arrived in Tokyo on Monday evening to open the UK-Japan Politico-Military Talks on Tuesday. His discussions with his Japanese counterparts included defence co-operation and potential joint development projects, education issues and British companies’ expertise in clearing the debris left by the March 2011 earthquake in north-east Japan. The two sides also discussed ethical investment in Burma and shared concerns over the “isolated, rogue, pariah state” of North Korea, Swire said. The Cabinet of Prime Minister Shinzo Abe is not considering revising the three nonnuclear principles that forbid the possession, manufacture or storage of nuclear weapons on Japanese soil, new Foreign Minister Fumio Kishida says. Unlike Abe, the former state minister for Okinawa and Northern Territories affairs is not regarded as a hawk. In fact, his appointment is viewed by some as an effort by Abe to placate foreign governments. “I know that Abe’s Cabinet is considered rightwing or hawkish. But we have to explain (to the public that) there is a positive side as well, such as to execute things that we must do as a nation,” Kishida said. “But I think it is also important to show our breadth . . . and show a sense of balance,” Kishida said, adding he hopes to help bring balance to the Cabinet. However, he showed no compromise on the Senkakus dispute with China, insisting that the islets in the East China Sea are historically, and by international law, part of Japan. He also emphasized that it was important to keep the lines of communication open with China to avoid any incidents. Since Japan purchased three of the five Senkaku islets from their Saitama-based owner in September, Chinese vessels have been cruising near or inside Japan’s territorial waters around the disputed islets, which are called Diaoyu in Chinese. On Dec. 13, a Chinese state-owned plane breached Japanese airspace for the first time on record near the islets. On the issue of nuclear weapons, Kishida, a native of Hiroshima Prefecture, said he wants to work toward abolition. Noting that the Nonproliferation and Disarmament Initiative, a 10-country coalition formed in 2010, will be holding ministerial-level talks in Hiroshima in 2014, Kishida said he wants to use the opportunity to improve cooperation with other nations. As for the Trans-Pacific Partnership, Kishida said the LDP remains opposed to entering into negotiations as long as they are premised on abolishing all tariffs without conditions. “If the prime minister visits the United States sometime soon, I presume (they) will touch on the TPP issue,” Kishida said. As for joining The Hague Convention against child abductions by estranged parents, Kishida only said that relevant parties will be looking into the matter. In March 2011, the DPJ government decided to prepare to ratify the 1980 Hague Convention on Civil Aspects on International Child Abduction. “It is embarrassing that Japan can’t even have discussions about this issue due to confusion at the Diet,” Kishida said. The government submitted draft legislation for joining the convention to the Diet in March, but it has been shelved due to confrontation between the ruling and opposition camps. 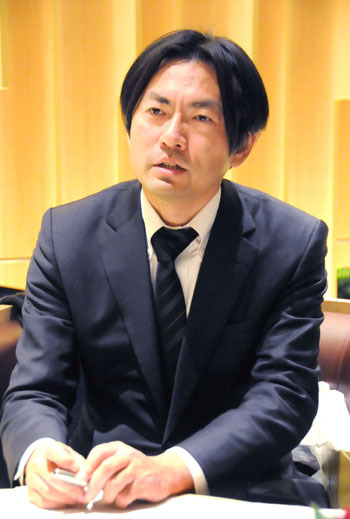 A graduate of Waseda University, Kishida worked at the defunct Long-Term Credit Bank of Japan before starting his political career as a secretary to his father in 1987. Kishida won a seat in the Lower House in 1993.